...you might consider spending it on my book, Warnings. t is the story of how meteorologists -- like they have the past week -- save lives in all kinds of storms. Its reader reviews are 5-Star at both Amazon and Barnes and Noble. 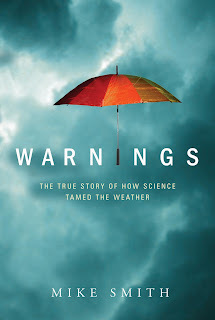 If you like books about weather or like reading this blog, you'll love Warnings.